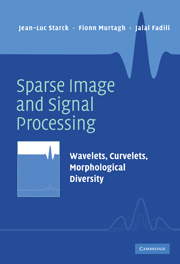 This book presents the state of the art in sparse and multiscale image and signal processing, covering linear multiscale transforms, such as wavelet, ridgelet, or curvelet transforms, and non-linear multiscale transforms based on the median and mathematical morphology operators. 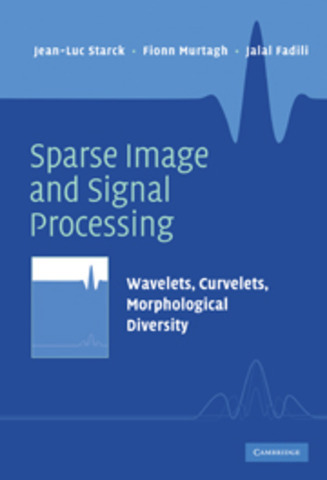 Recent concepts of sparsity and morphological diversity are described and exploited for various problems such as denoising, inverse problem regularization, sparse signal decomposition, blind source separation, and compressed sensing. This book weds theory and practice in examining applications in areas such as astronomy, biology, physics, digital media, and forensics. A final chapter explores a paradigm shift in signal processing, showing that previous limits to information sampling and extraction can be overcome in very significant ways. Matlab and IDL code accompany these methods and applications to reproduce the experiments and illustrate the reasoning and methodology of the research are available for download at the associated web site.